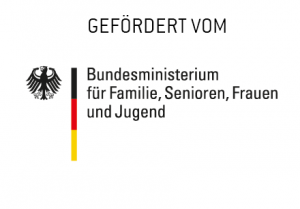 Currently, family policy especially under the heading of ‘the compatibility of family and work life based on partnership’ is a widely-discussed issue in the German public. In particular, the discussion revolves around the problematic aspects of balancing a career and a family at the same time. When employment, care, family time and finances are in tension, how do we solve conflicts in a constructive way for families and the society, without economizing families and without ‘traditionalizing’ them? In our Trialogs that started at the Humboldt-Viadrina School of Governance in 2009, we have worked on a concept of family based on partnership. Our concept applies to the personal as well as the social and political domain. Our aim is always to combine diversity and equality with each other, in order to promote individual dignity and independence as much as a productive voluntary cooperation. Important to us is to think of family based on partnership as a ‘common good’, which is at least as important as education, health, mobility and infrastructure. The principles that guide and structure single families are shaped by and respectively shape society. Our Trialogs serve as a platform to deliberatively discuss current topics of family politics. The perspectives and guiding principles of the first Annual Report on gender equality should be presented positively and emotionally appealing to the public. Against this background, we held a Trialog on November 21, 2016 in cooperation with the Federal Ministry of Family Affairs, Senior Citizens, Women and Youth that was titled ‘Public communication about gender equality’. The event started with an introductory speech from Professor Gesine Schwan and an introductory discussion (under the Chatham House Rule). Then, three stakeholders presented in 20 minutes their positions and experiences as well as their personal perception about gender equality and its communication. The speeches laid the ground for the subsequent plenary discussion. In the afternoon, participants split into two workshops and elaborated on key aspects for the strategic communication of the results from the report on gender equality. Care has been taken to ensure that participants from politics, business sector and organized civil society were represented in each of the two workshops. Results from the workshops were brought together in the plenary session, where common points were defined. Remaining differences were highlighted. What changes in working (time) culture are necessary to allow for the compatibility of family and work life that is based on partnership? The event started with an introductory speech from Professor Gesine Schwan and an introductory discussion (under the Chatham House Rule). Then, two stakeholders presented in 20 minutes their different positions and experiences as an introduction for the following plenary discussion. In the afternoon, participants split in workshop groups and defined necessary steps for the establishment of a new working time culture.